Mentoring’s one of the standard activities that you’ll come across in the information profession. We’re very caring and sharing like that, wanting to support people in their professional development. As you start your career as an information professional, you’ll regularly hear the advice: get a mentor. Or, as you advance in your career and seem to be doing well, you’ll be advised to become a mentor. This is fine: yes, both being mentored and being a mentor can be excellent relationships, and very useful for both parties involved. But…..mentoring relationships are like any other relationships: they can go wrong. And they can go wrong in a whole lot of ways. I’ve heard of mentors and mentees whose relationships have malfunctioned due to mismanagement, wrong focus, disinterest, and inappropriate behaviour. Like any other relationship, bullying and abuse can happen in mentor/mentee arrangements, but it can be very difficult for the participants to escape the relationship. However, this seems to be the side of mentoring that isn’t ever discussed. There’s plenty of guidance and information out there to help you with finding a mentor, or to help you to get involved as a mentor, and to tell you how positive a relationship it will be. But there seems to be no guidance for when either the mentor or mentee want to go their separate ways. There’s also no discussion (other than in whispered asides, or confidential chats with trusted contacts) that identifies those participants in mentoring relationships who should really not be allowed to participate in any others due to their actions. This can leave those who’re stuck in a bad relationship feeling that it’s their fault that it’s not working, as it seems to work well for everyone else. So, what are your options if, as a mentor or mentee, your relationship isn’t working? Well…you can confront the person causing the problems, and get the issues out into the open. That might work, but it might also blow up in your face, and cause all sorts of further problems. So it doesn’t seem that direct confrontation is the best way to manage failing relationships. Additionally, if you’re a mentee you’re often in a position of vulnerability – your mentor is likely to be further advanced in their career, has a lot of professional contacts, and will be well respected. You might feel you won’t be believed if you tell anyone about the issues. As a mentor, you may feel that others will think you’ve let down your mentee if the relationship isn’t working, and it could impact on your professional standing. 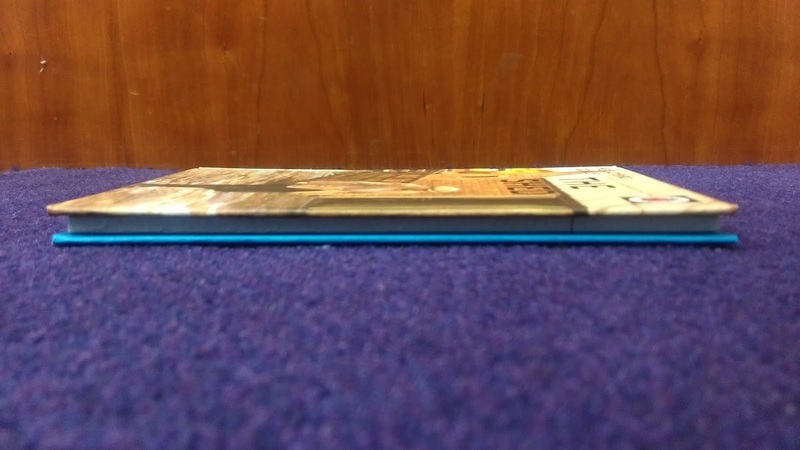 I don’t have a solution for this problem, but please feel free to leave comments and make suggestions of your own. Have you been in a bad mentoring relationship yourself? What would you suggest could help when problems arise? Do we need more involvement from professional mentoring scheme arrangers, maybe by creating compulsory review points during mentoring arrangements, when participants can step back from/leave the relationship, with no explanation needed? Should there be some professional penalty for abuse of mentoring schemes? Should there be a whistleblowing option for these schemes, so vulnerable participants can flag up the actions of the other participant, and trigger a review from the scheme arranger? How can participants in mentoring relationships get out of them when they go wrong, and how can people who are acting inappropriately in a variety of ways in mentoring relationships be prevented from continuing to do damage? 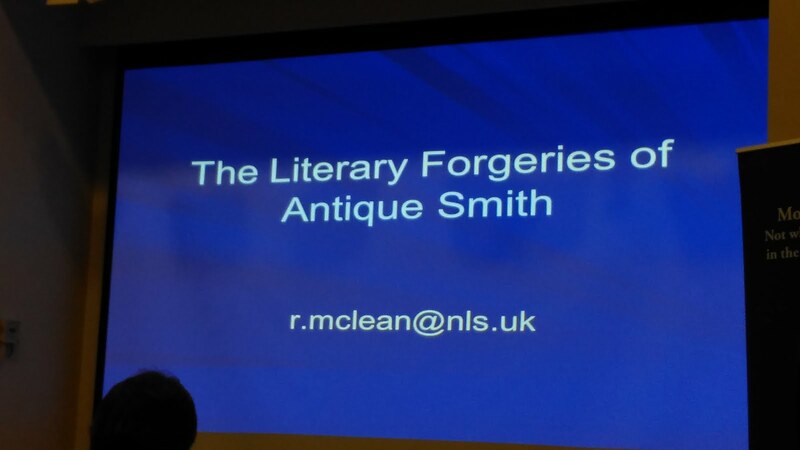 I’d never heard of the prolific forger “Antique” Smith before I saw the email notification about the talk on him from the Society of Antiquaries in Scotland. But I like archives, and history, and the fact there was a legal case that arose from it meant it sounded like an interesting outing. So last night I went along to the National Library of Scotland, where this talk was being hosted. So, what did I learn? Mr Alexander Howland “Antique” Smith had quite a busy time of it between 1887 and 1893, churning out at least 500+ known (at a conservative estimate) forged manuscripts and letters attributed to a wide variety of well known people over all sorts of time periods. However, he seems to have had a particular liking for Robert Burns and Sir Walter Scott….or maybe they were just more saleable items! He was trained as a law clerk, in the firm of Thomas Henry Ferrier WS, and it seems that old legal documents stored in the firm may have been the early source for paper for his initial fakes. Apparently, the skills he would have learned in this role would also have been just what he needed to become a good forger – patience when drafting and copying lengthy documents, and attention to detail when drafting. Although he needed to pay a bit more attention to detail than he did in the end! He was a very prolific forger, and used the flyleafs of period books bought secondhand as the basic material for his documents. 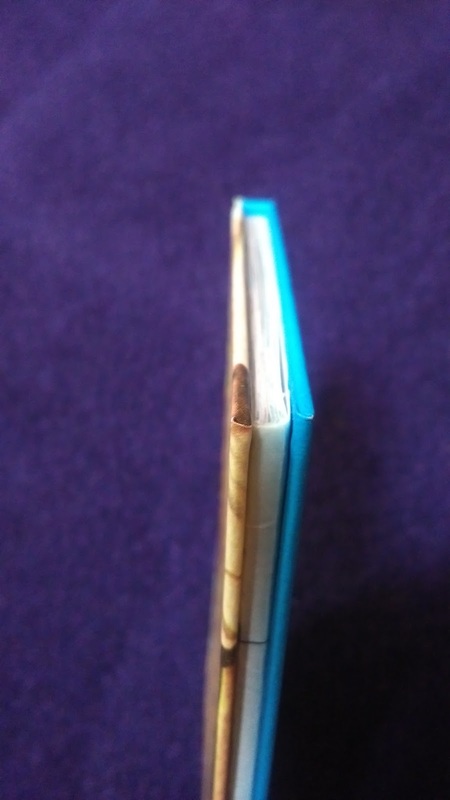 He used various techniques to age them, including dipping them in weak tea, and rubbing dirt into creases to give the appearance of age, especially in areas where they would have been expected to be folded and refolded over the years. However, he was somewhat lacking on real attention to detail, and his forgeries were riddled with problems. 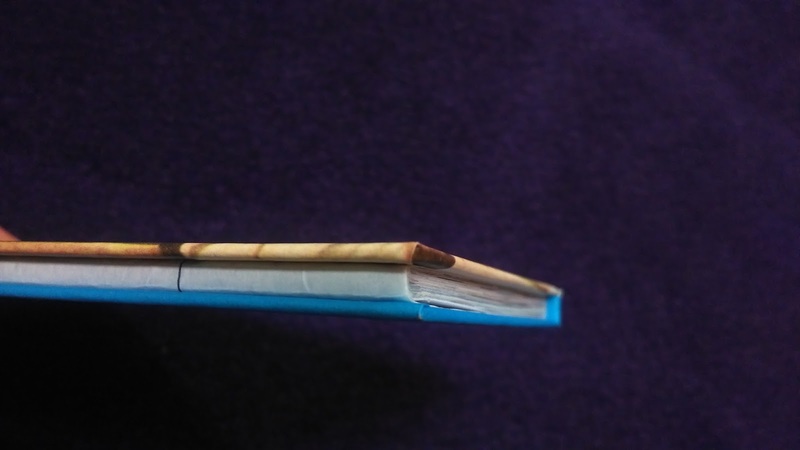 In the case of his forgeries of Scott’s letters, it was noted that his way of folding the letters he made differed from the way Scott would have folded them. Letters were regularly noted as being from specific locations, often some time after the real writer had moved away, e.g. Robert Burns apparently wrote a letter from a home he’d left a year before. One person wrote a letter, despite having been mortally wounded in a famous battle the day before. Cromwell wrote while in another city to the people who were be in charge of Glasgow, telling them to maintain order…but at that time, he was in Glasgow himself. Written materials which would not normally be signed, e.g. memos, had signatures attached, purely because it would make the letter more valuable. The paper he was writing many of his fakes on had a bluish tint, like the paper used for legal documents, rather than normal writing paper. He used modern (in the 1880s) pens and ink, there was no attempt to try and match the writing materials of the appropriate time periods. He would work around wormholes in old paper, giving the impression that the worms must have been considerate animals indeed. And his attempts at actually matching the handwriting, although probably informed by having seen some samples of the real writer’s style, were not hugely successful. Although in the case of Robert Burns, his own handwriting did vary with time…and drink! Quite a catalogue of ineptitude! Despite all this, he still managed to sell a lot of forgeries to a lot of people. There were a variety of wrangles prior to him being discovered as the creator of the forgeries. They related to manuscript collectors who had been defrauded, concerns about the honesty of the alleged document experts who had somehow vouched for the authenticity of these shoddy copies, charges brought in the Sheriff Court against Smith of theft/fraud (he was found not guilty), a case raised in the Court of Session in 1891 against a seller of some of the fake documents (the pursuer eventually instructed his law agents to drop the action, so it didn’t progress), and requests to have the disputed documents assessed by staff at the Faculty of Advocates to check their authenticity (an offer which the document expert refused to take up), he was identified as the originator of the flood of fake documents which had suddenly appeared on the collector’s market. He was brought in front of the Court of Session in June 1893, on 4 charges relating to pretending to various booksellers and pawnbrokers that false documents were genuine. There were 98 examples of his work gathered as evidence against him, and together with the existence of his forgery hut/summerhouse (with its contents of pens, inks and books on copying handwriting) and the testimony of the many witnesses who had bought from him or seen him with a large volume of old documents, unsurprisingly he was found guilty on all charges. The recommendation from the jury was for leniency, so instead of penal servitude, he was sentenced to a year in prison. After he served this, he mostly drops out of history. The irony is that, despite not being very good forgeries, Antique Smith’s fakes are now collectable items in their own right. To this day, they’re still being uncovered in archive collections around the world, have appeared listed as genuine in auction listings (although identified and removed from sale before the actual auction), and many more may lurk in the collections of notable families who kept quiet at the time of the trial, not wanting to admit that they’d been duped. However, if they were discovered now, the forgeries would be left physically untouched, with careful cataloguing demonstrating their provenance as forgeries. Unlike the examples we were shown from historic collections, which were gleefully marked repeatedly by some long-gone document manager with purple stamps saying “SPURIOUS”! 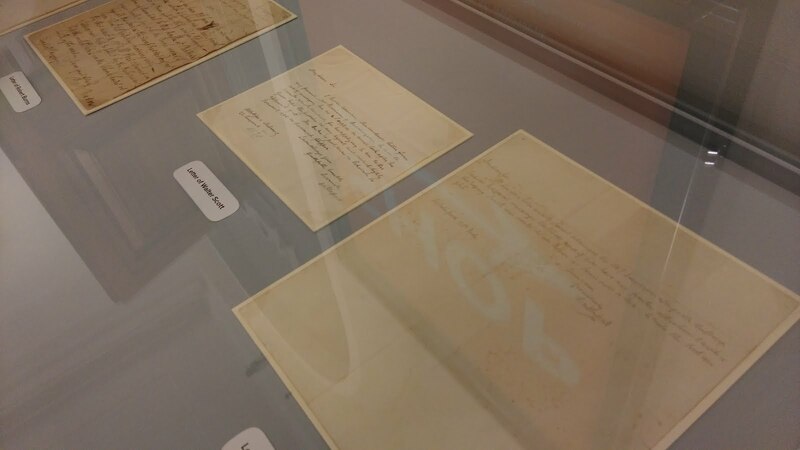 Outside, there were examples of original letters by Burns and Scott, and Antique Smith’s forgeries of these two author’s hands…I decided against testing my fake spotting skills though! Of course, what I want to do today is start looking in the Session Cases and see if it’s a reported case…. 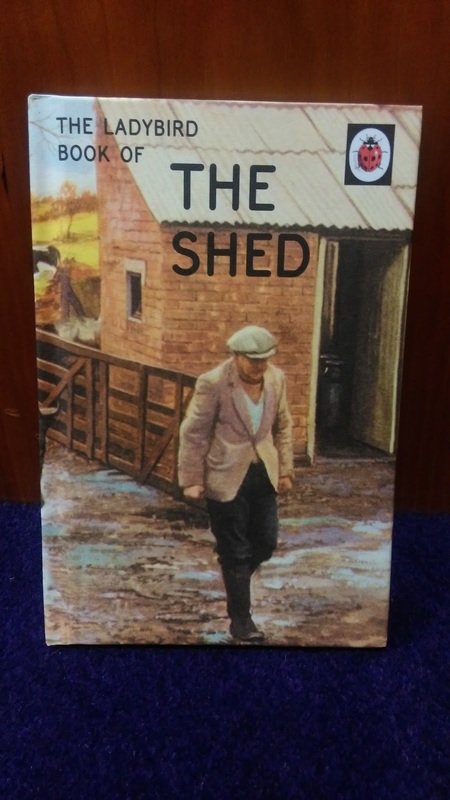 Recently, I bought one of those Ladybird parody books – what life wouldn’t be enhanced by learning about shed usage? However, this copy came with a slight design flaw. Can you spot it? Sometimes, you have so much to do, that you can’t see what you’ve actually done. I’m feeling very much that way at the moment, so I thought I’d make a public list for myself of all the work and professional things I’ve done since taking up my role in mid January. Then maybe I’ll feel less like I’m just not very good at anything. It’s worth a try. Although for obvious reasons, I can’t publicly say much about the baddest/hardest stuff, but…it’s in there. Maybe it’s not explicit about how hard it’s been, but it’s there. So: what have I done? Replaced someone who ran the library for 21 years, who retired 3 months before I started, and gave me no handover information. Got 6 weeks of company/training on the library from an assistant, who then retired, leaving me as the only person in the organisation who knew anything about how the library actually worked. Done the assistant librarian and librarian job simultaneously, while not really knowing anything about them, for a few weeks. Trained the assistant librarian (who is awesome) to do their job…which I didn’t really know how to do myself, due to it not being my job. So we figured it out together. Painfully. Trained the assistant librarian to do legal research, from the basics on to complex work – again, luckily, they’re awesome! Learned about the organisation I work for, its history, and its coverage – I had only worked with civil law before, so I had to learn about criminal law from scratch. Learned how to use the LMS for managing stock and circulation items. Realised our LMS contract was coming to an end and the product was too costly, so worked with suppliers and Procurement to implement a new LMS (work in progress). Decided that the current catalogue data was too unreliable/inaccurate to import to the new LMS, and made the decision to recatalogue all stock from scratch on our new LMS (work in progress). Chosen and adapted a new classification system to reclassify all our stock to (work in progress). Reviewed my job description, and the assistant’s job description, and updated them to actually reflect what we do. Learned how to use the internal appraisal system, to manage assistant’s development needs and professional development plan. Created a structure for management of emails and materials coming in to the communal library email account, and being stored there for access by both staff. Contacted every supplier of anything to the library, to update the account manager details to me. Sometimes not very successfully (Bloomsbury Professional really, really like sending email to my predecessor, no mater how many times I contact them about it, and they assure me it’s now accurate). Supervised the assistant librarian in their review of where every looseleaf that we buy goes to – we’ve cut any surplus spending on unfiled/unused copies. Begun the process of asking for my job grading to be reassessed (work in progress). Had a lack of support/accurate information when I needed it and asked for it. Begun working my way through a datadump of 10 years worth/200 folders worth/800-1000 network files and documents, to learn about how the library was run prior to me starting here. Researched the history of the creation of the library to determine who my actual users are meant to be. Worked with other departments to determine what others thought the library did, and for who. Created a Service Description, to describe and define where the library (and 3 satellite library locations) is located, what the library staff actually do, and who our users are. Made sure everyone I speak to knows that they are welcome to use the library, work in the library, and there are user desks/pcs available for them to use here (backed up by a variety of smaller, subtle marketing activities like making sure sweets are available at the service desk). Managed access to users of a group-access subscription service, and attended user group meetings. Attended a disaster planning event, and a practical training workshop, and used the knowledge from these to partially draft a disaster plan (work in progress). Attended an event in London of creating a digital strategy for the library, which gave me lots to think about regarding how to develop the service (work in progress). Worked with other departments to start redeveloping the library space on one of the intranets. Reviewed every subscription we take to assess usage/relevancy, and cancelled any inefficient/underused subscriptions. Attended induction training (local and corporate), attendance management training, change management training, criminal awareness training, and civil awareness training. And completed many hours of compulsory e-learning training. So much time away from working, in training! Created training materials on library resources for internal staff who provide cover for the library staff, and provided day-long training to multiple individuals. Begun plans to implement the internal staff training on library resources across the wider organisation. Written endless business cases, with the content ranging from internet filter proxy settings to professional organisation memberships. Maintaining my part of the building – reporting and getting replaced lights that are out, broken/malfunctioning doors, splintering desks, spillages in the coffee area, splatters on the external windows etc. Established good professional relationships with other libraries in the vicinity. 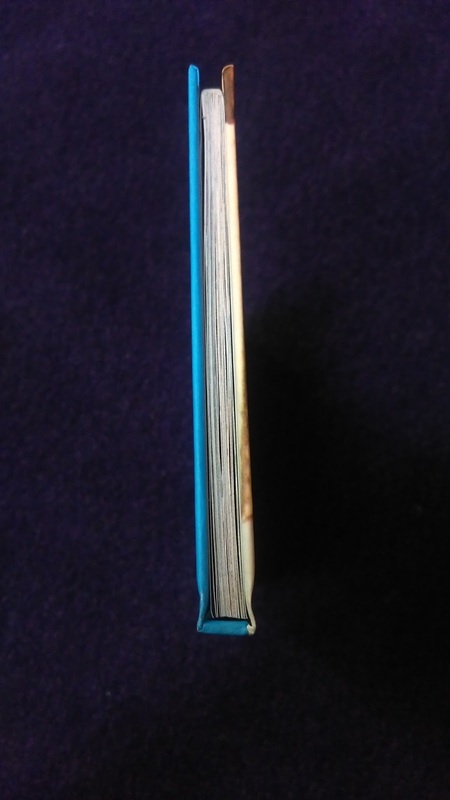 Attended an introduction to bookbinding course, to get the skills to understand how to do basic book repairs. Oh, and of course, around all this, I’ve done my normal work of dealing with sourcing legal materials and doing legal research! Which, despite what people who come in think, is actually taking up a large amount of the time the assistant librarian and I have available – we suffer from the traditional misapprehension that, if we’re not working for an individual at that point in time, we must not be working at all. If only! Visited multiple professional libraries in London and Edinburgh, including the equivalent service in London. Hosted the meeting of a local professional group, and given a group tour of the workplace. Been involved in a multitude of relevant professional groups, and attended meetings at a variety of locations, from the National Library of Scotland to the Royal Botanic Gardens. Given individual tours of the workplace to at least 20 professional contacts. Undertaken an Institute of Leadership and Management qualification. Registered for Fellowship with CILIP, and begun compiling my portfolio for that. Seen one Chartership candidate successfully submit their Chartership portfolio, and taken on another mentee. Co-managed the Informed website, and written information-issue articles. Maintained this blog (it’s been a little bit neglected, as a lot of my writing/focus has been on Informed instead). Cleared 30 bags of rubbish out of my office. Cleared 70 large crates of old books out of a basement room. Twice, as various people then wanted some books retrieved, so they needed unpacked, shelved, then repacked. Oh my, that left me so bruised and battered. Cleared 20 crates (and still going) of rubbish from the library office and main library shelves. Relocated 10 book trolleys that had been holding surplus materials out of the library. Created two full surplus sets of 100 year+ runs of a series of law reports, stored them, then moved them. For other people. Reshelved thousands of books in a satellite library, myself. Visited the Aberdeen library once, the Glasgow library twice, and visited the other Edinburgh library monthly. Drafted recommendations for another part of the organisation on where they need to recruit another librarian (plus two site visits to assess their current setup, and attending meetings to discuss this proposal). Given support where requested re the stocking with appropriate materials of a newly-created part of the organisation. Written a report re feasibility of potential enlargement of certain librarian responsibilities (work in progress). Hmmmm….maybe this does make it a bit clearer. I have actually been doing a lot. A hell of a lot. And I know there’s loads I’ve not even got on this list because I’ve forgotten. And there’s only me doing this (with, thankfully, a great colleague), but it’s really actually quite a lot for just me to be totally responsible for! Author JenniePosted on August 21, 2015 Categories law firms, Scots lawLeave a comment on Who supports the support staff?